The problem: The vast number of potential chemicals and products that could be made from biomass makes prioritization of research difficult for optimizing market viability, cost competitiveness, environmental benefits, and supply chain development. 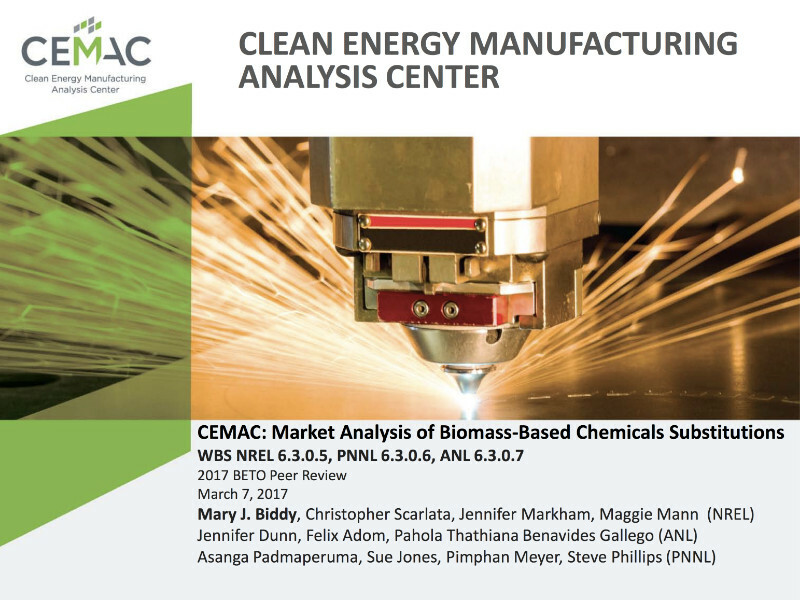 The project: This CEMAC/DOE initiative studied 160 potential chemicals, and the list was pared to 26 candidates for further evaluation. The goal: To understand manufacturing costs and value-added along the supply chain, U.S.-specific competitive advantages, and potential market impacts of lignocellulosic-derived chemicals.